Have you been enjoying the product share with Tonic Studios? We sure have. Today we have two cards to share using handmade Wood paper embellishments. Wood embellishments are always popular on crafty projects. 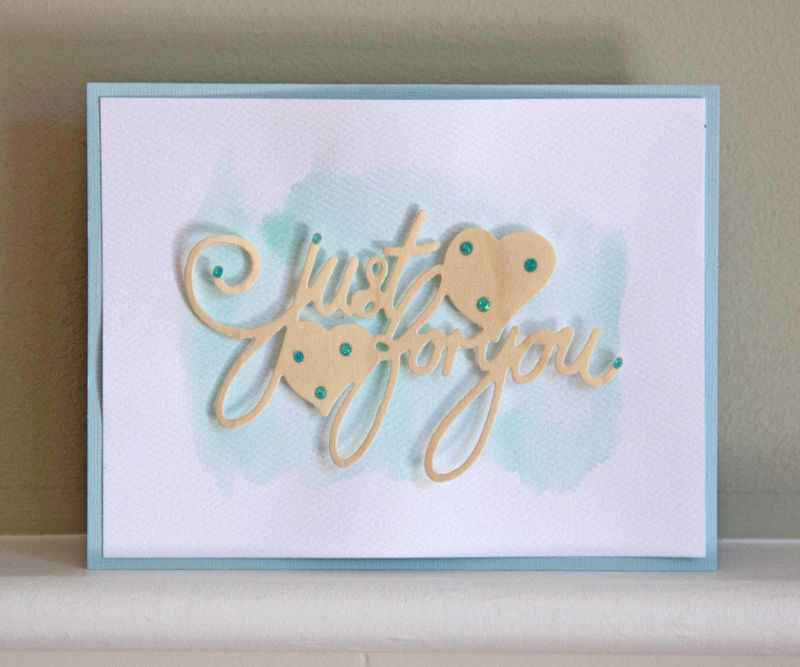 Make your own, just like we did, using Wood paper, Tonic Studio Dies and Nuvo Glitter Drops. Supplies to create card: Wood Paper, Tonic Studios Dies, Nuvo Glitter Drops, watercolor paper, watercolor ink, colored card stock and adhesive. 1. Die cut Cherry or Birch Wood adhesive-backed paper using Tonic Studio Dies. 2. Add a little Nuvo Glitter Drops to embellish your Wood paper die cut. Set aside until dry. 3. Cut a piece of watercolor paper to 4″ x 5.25″. 4. Add a wash of watercolor paint to the watercolor paper. We complimented our watercolor wash to the color of Nuvo Glitter Drops we used. Let dry. 5. Cut card base to 4.25″ x 11″, score and fold in half. 6. Center and adhere watercolor paper to card base. 7. Remove adhesive liner from the die cut Wood paper embellishments. Adhere Wood paper embellishments directly to watercolor paper, letting the watercolor wash show through. Or, leave the adhesive liner on and pop the Wood paper embellishment up with foam adhesive. Follow our friends at Tonic Studio on on their Blog, Facebook, Twitter, Pinterest and Instagram. This entry was posted in Stationery & Envelopes and tagged 3D, glitter, scrapbooking, stationery, tonic studios. Work Hard & Enjoy Your Labor Day!